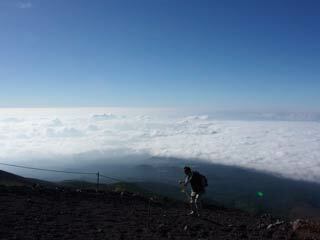 Fujinomiya Climbing Route(富士宮口) is one of mountain trails of Mt.Fuji. It is also known as the south gate of Mt. Fuji which people enter from Shizuoka Pref. The starting point of this Route is located at 2400m from the sea level which is the highest starting point of all four routes. There are 6 resting houses on the route and on the top of Mt. Fuji, there is Sengen Shrine and a post box. There is a parking for 500 cars, but it get full all the time. 0. At Shin Fuji Station.